Great conversations, wine, discovering roads less travelled and Forest Fire devastation. 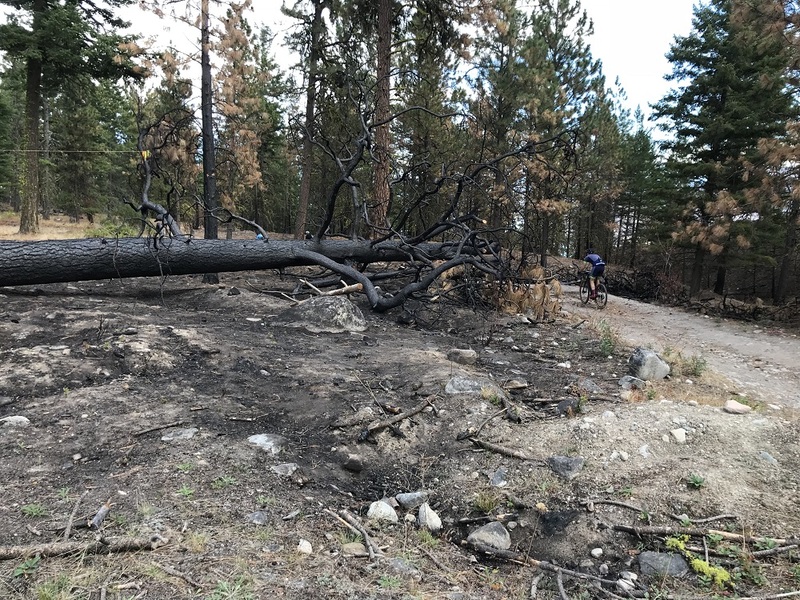 After a long summer of crippling Forest fires in the Okanagan region of BC, I was unsure if I would get the chance to ride in this beautiful area this year. The report of huge devastation that was destroying communities was heartbreaking. One particular burn that I was keeping my eye on was located between Keremeos and Penticton. It had stretched up towards Summerland too along 97 Highway. 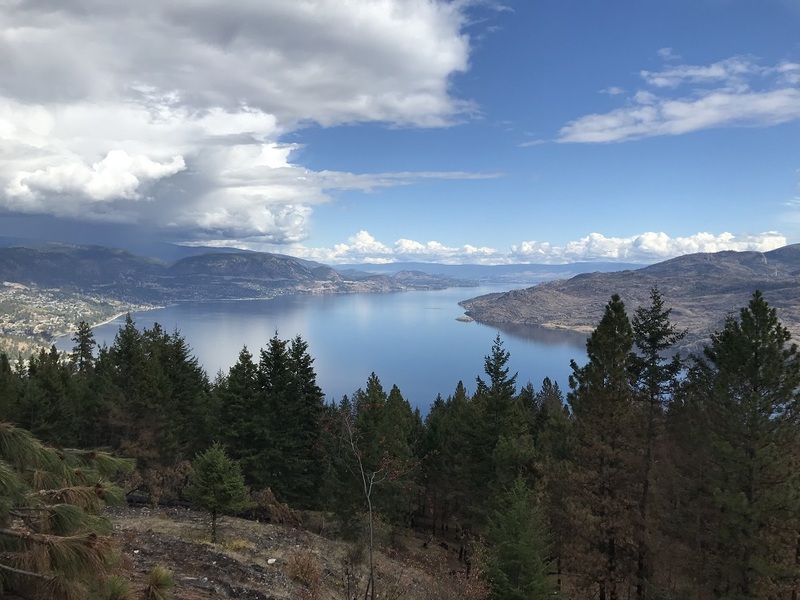 After weeks of planning and watching for updates we made the call to hit the road and explore the wonderful trails that Penticton and Summerland had to offer. 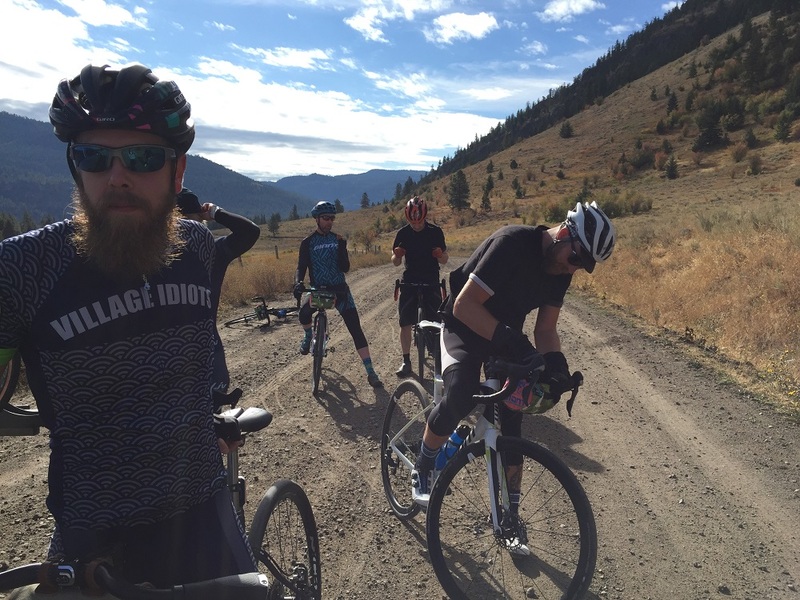 The group was a mix of veteran gravel riders, new converts and newbies on Road bikes. All levels and skills gave us a great group to share this experience. Rolling out from the Lakeside in Penticton we were treated to glowing sun and the dew on the grass by the trailside. The cool thing about the region is the multitude of cycle paths that meander around the valley leading from Town to Town. We had 1 day to explore as much as possible to set out a route that would give us a bit of everything from old mountain roads to groomed rail trail. We started along the Channel Pathway before making our way out of the town on the Green Mountain Road. Straight away we started to climb between the mountains in a shaded valley. We travelled deep into the Native Reservation of the Outma Sqilx’W Indian Band. As we crested out of civilization the hills became rolling and sunburned. As we left the pavement and the road turned to a smooth dirt surface we began to climb further away from civilization. The only vehicle around us was our support truck loaded with refreshments and spares. The conversations became quieter as the fight for traction began to increase. Rolling around every corner we were treated to a new vista. Lush green Pine trees, sun-kissed grass stretching across farmland worked by the Local Band members. The only sounds that could be heard were that of our breathing and the woodpeckers. A quick stop at the highest point of the Shingle Creek Road for water bottle refills and some Clif Bars. Next was the first off-road descent for the group. The speed was immediately increased thanks to some farm dogs who decided to chase us for what felt like miles along the road. Their vicious bark multiplied by the fact that we had seen a gap in the fence that had separated us ahead lead to some peak heart rate moments before being thrown into a rowdy downhill. 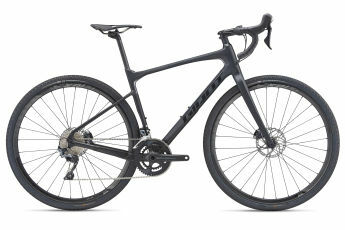 Good bike control and disc brakes make these moments a lot more fun. I felt sorry for the guys on rim brake road bikes. 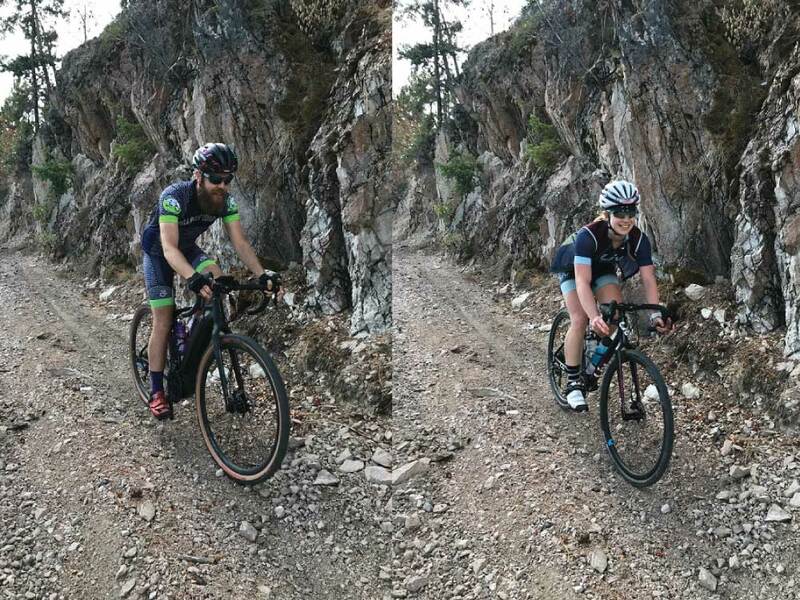 Once we returned back to the main roads around Summerland and the first sector of Gravel was finished I could see the smile on the faces of the other riders as they had survived the gravel downhill after a few sketchy moments. Rolling through the town and by the Apple and Peach fields, we joked about surviving some hairy moments. After some reprieve on the road, we hit our next gravel sector on the Garnet Valley Road. The road once again began to climb up towards the Garnet Lake. Kilometre by kilometre the road conditions began to get worse. The green trees and grass began to turn to black smouldering embers, the sand scorched and the heat rise. It felt like we were approaching the epicentre of the disaster. Studying the damage around us you can only imagine how hot and scary it must have been for the volunteer firefighter who had to battle this beast. It took no prisoners and decimated everything in its path. It looked like an asteroid or fireball just smashed into the hillside. Our tires broke through the crust of the burn to expose the sandy terrain below. At the peak, we were treated to an amazing view of the Okanagan Lake all the way up to Kelowna. As they say, what goes up must come down. The next adventure was the downhill back to Highway 97. A mix of sick single track, loose rock and old 4wd trail straight through the burn area greeted all the riders. Once we hit Highway 97 it was a group ride on the road back to Summerland. The road bikes were in their element while we on the 40c tires suffered from the “Is my tire flat” syndrome. 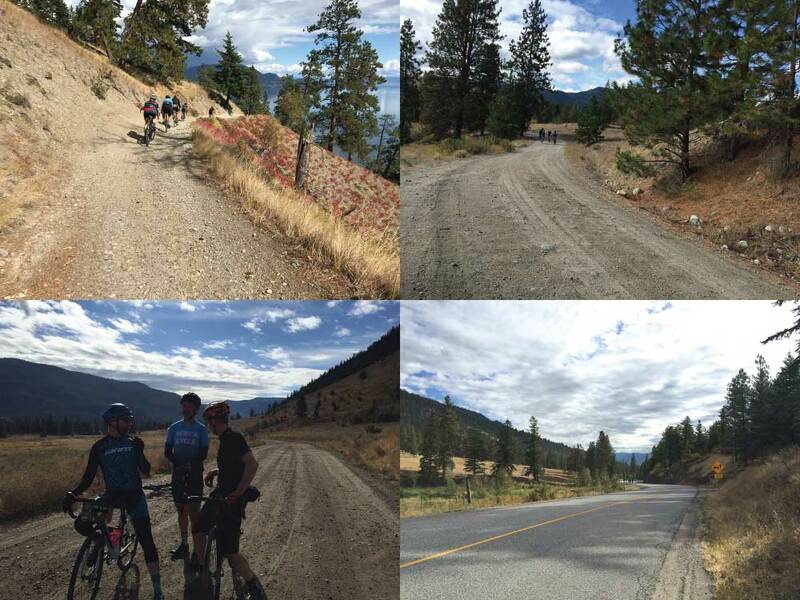 As we rode back through downtown Summerland we all awaited the final gravel sector and did not know what to expect. 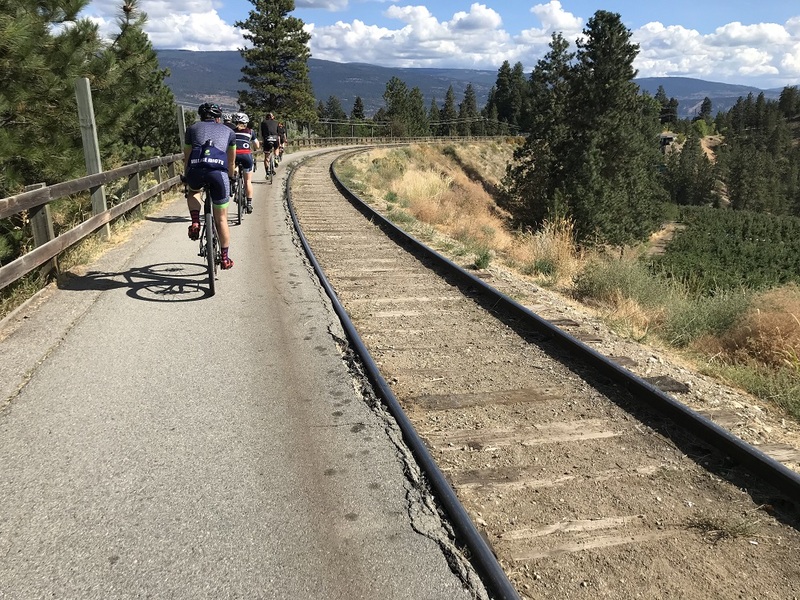 It was the well-known Kettle Valley Rail Trail. Reports had said that it was thick pea gravel that was like deep sand. Others had said it was easy. 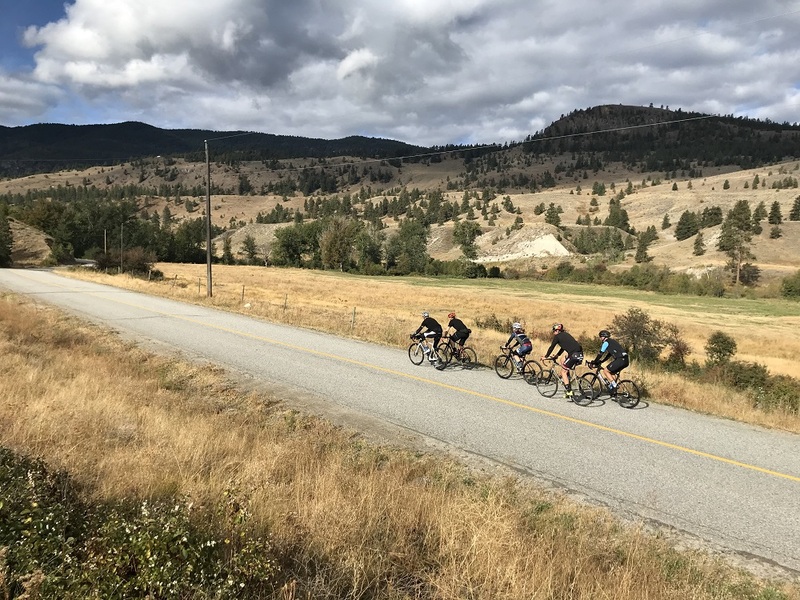 One thing is for sure is that it was meant to be mainly downward towards Penticton and now 70kms into hot days riding some of us were feeling it and looking forward to the post-ride beers. I have to say this section was fast and flowing. There was moment’s when the gravel was deep or washed away that kept you on your toes. 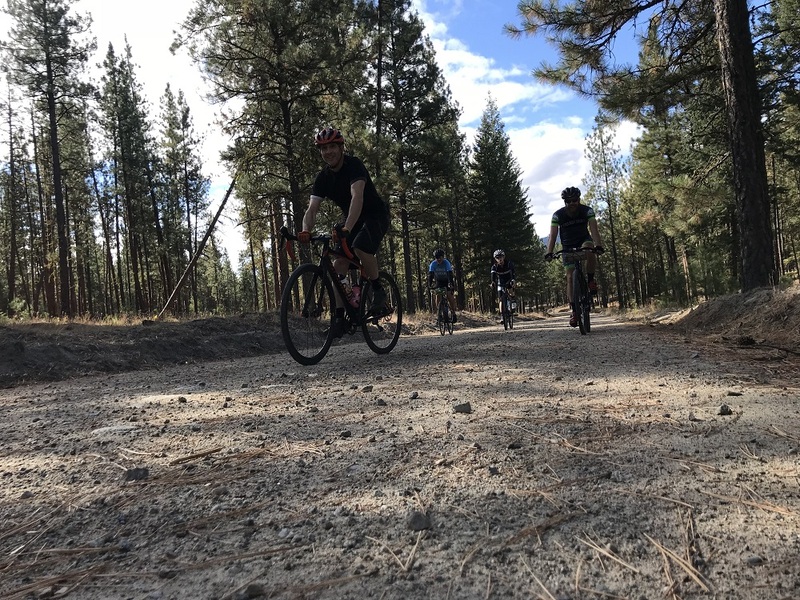 But the sights and views on the trail and the overall speed made it fun to ride especially in a group that were now really feeling the gravel riding and experience you get from riding on the road less travelled. As we hit the city limits and back into civilization and traffic we all had large grins on our faces. Not because refreshments and the lake were near but because we had such a great journey. 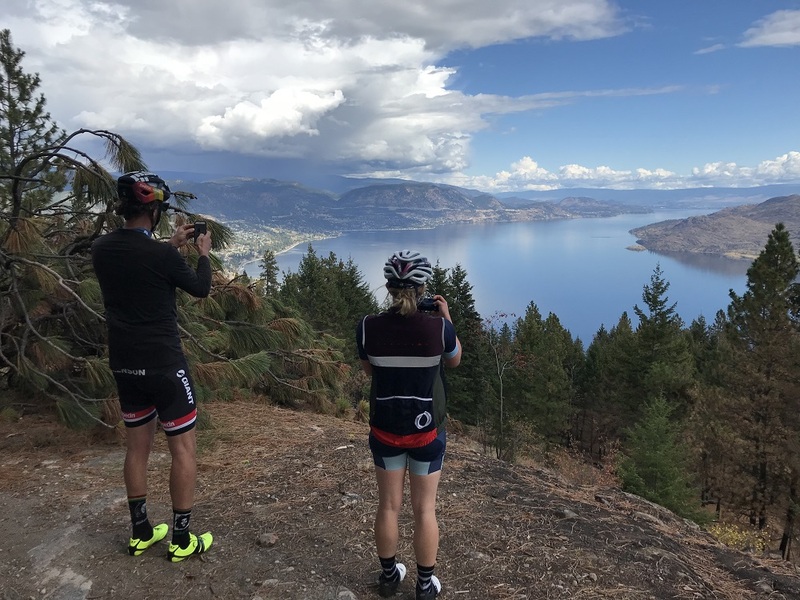 I would definitely recommend a trip to explore the Okanagan for Gravel riding. There are some many route options and something for everyone. Do your research and get out there. Photos by; Paul Mc Carthy & Amalie Gunn. Thanks: Colby Large, Amalie Gunn, Giant Dealers from British Columbia.